It's a new dawn for the legendary duo of Cosmic Gate. They launch their brand new Wake Your Mind Records, part of Armada Music, with the smash that is 'So Get Up'! 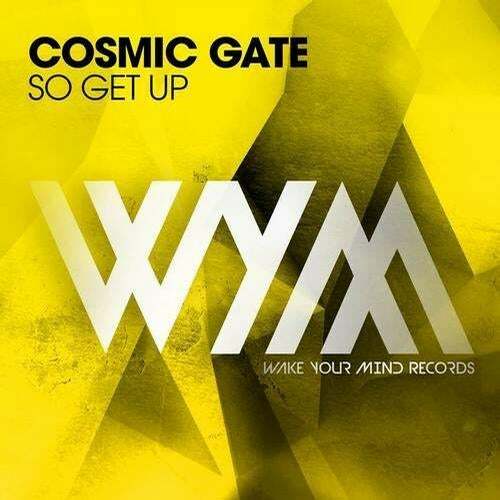 Premiered in Armin van Buuren's A State of Trance radio show and a highly anticipated ID for quite some time now, Cosmic Gate brings in something contagious. A worthy follow-up to classics 'Exploration of Space', 'Fire Wire' and the more recent 'Analog Feel' and 'Be Your Sound', but definite new chapter for the German masterminds, 'So Get Up' brings energy, melody and a solid blend of styles!